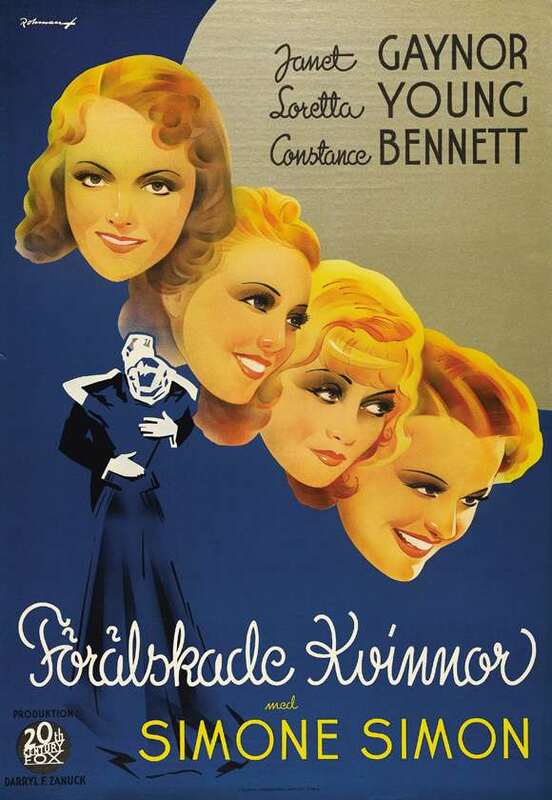 Welcome to Vintage Powder Room Cinema! 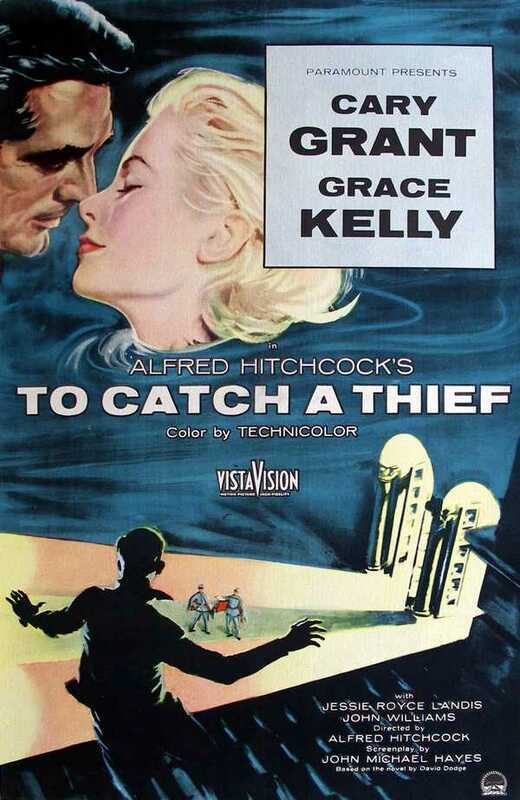 This week’s feature is TO CATCH A THIEF starring Cary Grant and Grace Kelly. Enjoy the movie! After a series of daring, nighttime jewel thefts creates panic among the Riviera’s wealthy elite, American-born John Robie, a reformed burglar who used to be known as “The Cat,” becomes the police’s only suspect. When police detectives come to question him at his hilltop villa near Cannes, John cleverly eludes them. John then races to see his old friend, Bertani, a restaurateur with whom he fought in the French Resistance and whose employees are all ex-convicts like John. Although Bertani is sympathetic to John’s plight, the other restaurant workers treat him hostily, fearing that his apparent transgression will cast suspicion on them. Feeling that his only recourse is to catch the thief himself, John asks Bertani for information about his rich customers. Instead, Bertani offers to put John in contact with a man who two days before asked for the same information. As John is leaving the restaurant, he is spotted by the still-pursuing police detectives. 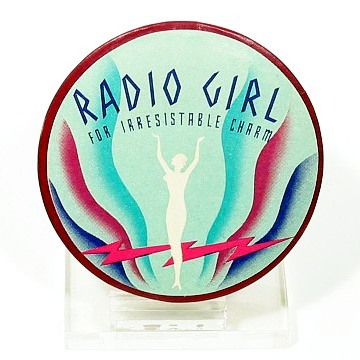 I found the Radio Girl face powder box at a compact collectors convention in Las Vegas, it was one of was one of the first items I acquired when I began to collect vintage cosmetics ephemera nearly twenty years ago. I was particularly fortunate that year because most of the other attendees were focused on the compacts and vanity cases so I picked up this box, and several others, for under $25 apiece. Advertising art reflects its time, and the colorful zig-zags of the Art Deco graphic combined with the silhouette of a woman with her arms raised above her head like a radio antenna, suggest to me that the Radio Girl box is a product of the late 1920s or early 1930s. Today we pride ourselves on our mobility and the convenience of our smart phones, tablets, computers and the myriad of devices we carry with us each day. Portability was a concern for early radio listeners too. Sure, it was nice to gather the family around the Zenith console in the evening and listen to a college glee club or a repeat of the Gilbert & Sullivan comic opera “Mikado”; but what if you were out during the day? 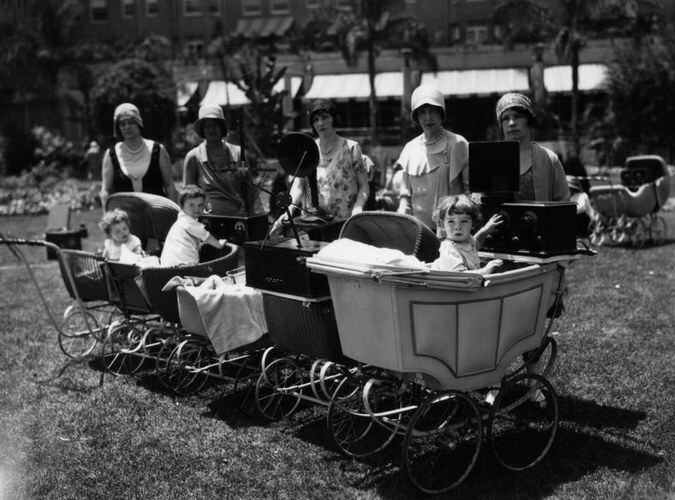 Women in Los Angeles obviously grasped the concept of portable entertainment devices very early on—as you can see in the photograph a group of young mothers discovered a way to take their youngsters out for a stroll while tuning in their radios. If you’re wondering where the electrical outlets were they weren’t needed, battery powered radio sets were available as early as 1922. I am very lucky because whenever I crave an olde tyme radio experience all I need to do is to ask my husband, Scott, to turn on one of the tube radios in his vast collection. He has many of them set up to receive programming we select and transmit to them. There’s nothing quite like the warm glow of a tube-lit radio dial. I love to turn off all of the media in the house that postdates 1950, and then I mix a gin gimlet, put my feet up, and listen to an episode of “The Shadow” from the 1930s—it is my idea of a perfect evening.